Carl Icahn is a restless guy. 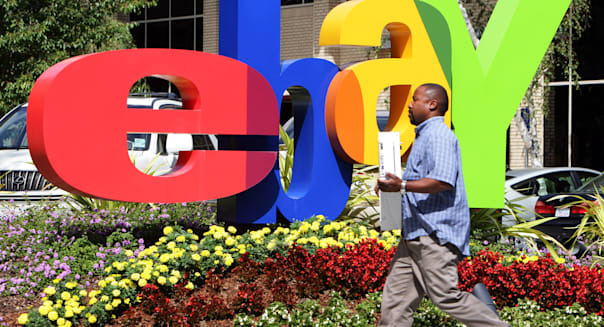 The billionaire gadfly investor recently disclosed a small stake in online auction king eBay (EBAY). At the same time, he fired off the opinion that the company should divest its online payments subsidiary PayPal in order to release its true value. As per his standard operating procedure, he threw some weight behind his opinion by putting forth two of his employees for eBay's board. We all know PayPal -- it's the system by which we transfer cash for online purchases not only on eBay, but on thousands of websites which use it as a quick, safe and reliable means of taking our money. Since eBay bought it in a clever and foresighted move in 2002, PayPal has been the financial engine driving the e-commerce site's profits. But if the two go their own way, as Icahn would prefer, would eBay still be able keep running effectively on its own? And, for that matter, would PayPal? Over the years, PayPal's revenues have climbed by an annual average of an incredible 50 percent. In fiscal 2013 alone, the subsidiary's top line advanced 19 percent on a year-over-year basis to hit just over $6.6 billion. Meanwhile, the marketplaces segment (i.e. eBay's traditional auctions and sales) grew its revenue by 12 percent across the same time span. Step back to look at the longer-term picture, and the difference in growth rates becomes even more apparent. Marketplaces grew its take by around 137 percent from 2005 to 2013, a number well eclipsed by PayPal's nearly 550 percent. What this shows it that the marketplaces division is a slower, steadier business compared to the upward lurch of PayPal's operations. Icahn likes his profits and no doubt he'd like them to produce returns quickly. So it's little wonder he'd prefer PayPal to do its growing as a standalone, rather than hibernating in a company with less-robustly performing subsidiaries. He'd also like to hold a stock that's going somewhere. Over the past year, eBay's share price has basically stagnated compared to the broader Nasdaq Index, and particularly against fellow online stock favorites Amazon.com (AMZN) and Google (GOOG). But it's not as simple as slicing off PayPal and letting marketplaces prop up the eBay storefront. Unlike many subsidiaries under the same corporate roof, the two units actually have that favored buzzword quality: synergy. They work in concert. Fully 30 percent of new PayPal users are generated through interaction with eBay. It helps that PayPal is the only true online payments option within the auction site. Also, around 50 percent of PayPal's bottom line derives from transactions from the marketplace unit. Meanwhile, eBay strongly benefits from having an online payments system right at its fingertips. Regular users don't have to fumble around for a credit card or mess around with an outside payment system -- PayPal is available to cover their purchase, quite literally, at the touch of a button. For those with existing PayPal accounts, payment is smooth and nearly instantaneous. Those without can set one up in minutes by using an email address and funding the account with a payment card or bank account. In other words, the two divisions are each other's best clients. Dividing them would almost certainly affect that relationship negatively -- for instance, other vendors could swoop in to handle eBay's payments. This would rob PayPal of revenues while making marketplace purchases more convoluted, risking user flight to different e-commerce operators. This is a growing concern given that nearly every bricks-and-mortar retailer has a strong online presence these days. Then there's the 800-pound online retail giant that is Amazon.com, which has dived deep into the outside vendor space with its own "marketplace"-branded offerings for new and used items. The company doesn't break out sales of such goods, but it attributed its chunky 31 percent year-over-year increase in Q3 North American sales (to over $10 billion) partially to those vendors... so we can be certain they're making a hefty contribution to the e-tailer's revenues. Besides, spinning PayPal off as a separate entity would put it squarely in the sights of several hungry, determined competitors. Rival payment processors have been conducting business for years, and they well know how to simultaneously win customers and keep investors happy. Look at MasterCard (MA), an eternally aggressive competitor. The company booked $6.2 billion in net revenue in the first three quarters of 2013, boosting its profit by 16 percent to nearly $2.5 billion during the period -- a period which doesn't even include the busy holiday season. What's more, last December it decided to crank its dividend payout by a massive 83 percent; it's not a shock that the stock went on an upswing immediately afterward. %VIRTUAL-article-sponsoredlinks%Not to be outdone, Visa (V) has been posting some very impressive numbers, growing its trailing twelve-month bottom line as of the end of last September by more than 130 percent to just under $5 billion on revenues that advanced 13 percent to $11.8 billion. And, as with many elements of its business, its shareholder payout is competitive in yield terms with MasterCard's. If PayPal were to go solo, it would risk being squeezed by its two famous rivals. Not only that, but to compete as an attractive stock with those boys, it would probably need to spit out a dividend. This would drain capital from a business that'll need it to fight in such a tough arena. Another worry is margins; the 2.9 percent base rate PayPal charges for transactions would come under pressure in a hotter competitive environment. Visa and MasterCard would be sorely tempted to shave transaction fees in order to leech business from the upstart. As expected, eBay was quick to respond to Icahn's demand -- er, request. It tactfully replied that it "welcomes the opportunity to listen to the perspective of all its shareholders," adding it would pass his board recommendations onto the relevant committee. Hopefully for current shareholders, nothing will come of Icahn's suggestions. eBay might not be the most bouncy stock on the market, but the company is reliably profitable and successful. And one of the main reasons why is the tight relationship between its marketplace and its under-the-hood payments engine, PayPal. As such, the two units belong together -- because separately, they stand a much lower chance of success.